You want to have a home of the most strategic in Batam, the answer can only be found if you buy a house in Tropicana Residence Batam Centre. Apart from its location superior, special purchases during this September, developer of electronic prizes memberlaku promo luxury. According Dedy a Golden Marketing PT Nusa Persada, for designation as an access location may be said of gold compared to other housing in Batam. The developer also promises the most complete facility for prospective residents. Among them, from swimming pools, spa, club house, security system 24 hours a day, the Internet zone can be enjoyed by residents. Even for support facilities 24-hour security, CCTV and even some have also been installed at this point-some point in Tropicana Residence. "For the facilities, we are trying to provide the best for prospective residents of Tropicana Residence. Wherever possible we will always put the comfort of occupants, such as for example, for our electrical system using electrical systems in the soil. 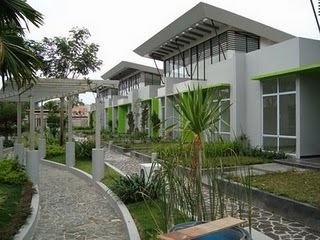 So the environment may appear more clean and arranged neatly," said Dedy (09/15/2010). The electronic gift diantaranyakulkas two doors, BlackBerry mobile phone, LCD TV 21 inch, and Note Book. Gifts can you take it home with pay booking fee worth five million dollars. Reward yourself can be taken after the installment payment. Not only that, Dedy also revealed that in addition to direct gifts, prospective buyers can get a discount. For those buyers who conduct transactions in cash and cash loud gradually getting a discount worth 12 percent. While prospective buyers who use the mortgage as payment transactions will receive a discount of 8.5 percent. For those of you who are interested in, immediately went to stand Tropicana Residence at Level 1 Mega Mall.